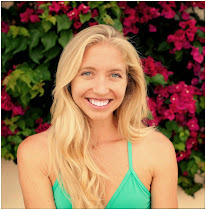 What is a Mermaid Yogi? A girl who loves the ocean as much as she loves her yoga practice. She enjoys her yoga in a studio, on a sandy beach, beside a lake or....when the stars perfectly align, she gets to take her practice on the sea to breathe and flow alongside the waves. Over the past four years, I have been lucky enough to teach yoga by the beach and on the ocean, here at my home in San Diego, California and also around the world. I'm near the water so often that sometimes I truly believe I am part mermaid. As the practice of Stand-Up Paddleboard Yoga has exploded in popularity, I've met some of the most amazing women who share my love for the sea. This month, I partnered with some of my favorite fellow Mermaid Yogis to offer an opportunity for all of us to unite around our common loves for mama ocean and yoga. 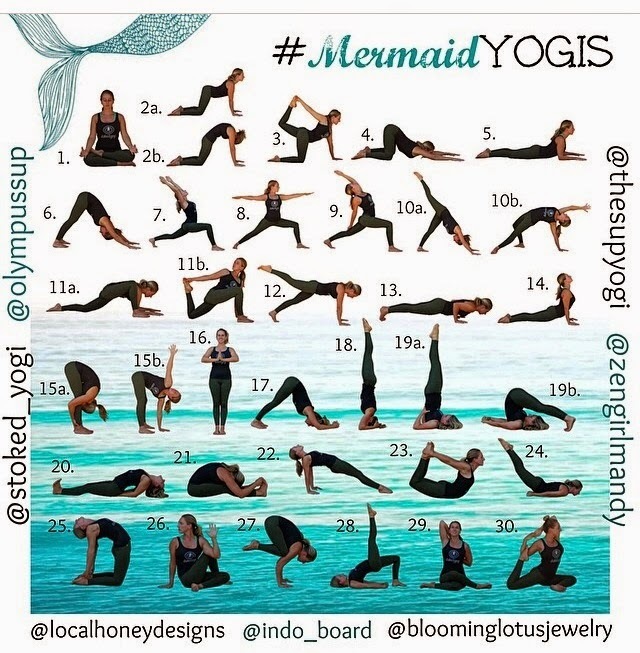 I am so excited to be hosting a yoga challenge on instagram called MERMAID YOGIS. For the month of June, we will all do a yoga pose each day for 30 days, with the intention of sharing, connecting and exploring our practices both on and off the water. This challenge is first and foremost all about Ahimsa, non-harming, towards ourselves, each other and the world. We ask you all to take it easy ~ the poses we chose are intentionally mellow and accessible to all levels of ability. Love Yourself and Love the Earth. We ask that over the course of this month, you think about ways that you can be kind to the planet and protect our seas so that generations of mermaid yogis to come can enjoy it as we have. 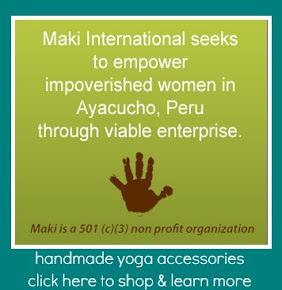 Together, we spread love and positive vibrations around yoga, the planet, the seas and our fellow yoginis. myself (@zengirlmandy), Amelia Travis (@stoked_yogi), Anneliese Brosch (@thesupyogi) and Michelle Gierst (@olympussup). A huge thank you to our sponsors ~ Indo Board, Local Honey Designs and Blooming Lotus Jewelry and Raw Elements. Those who submit a photo each day for the month of June, hashtag #mermaidyogis and tag all 4 hosts and our 4 sponsors, you'll have the opportunity to win from the following prizes: a yoga indo board; local honey bikini of your choice; mermaid hand-stamped necklace from Blooming Lotus Jewelry; organic sunscreen essentials from Raw Elements and $200 credit towards a Stoked Yogi retreat or training. The challenge begins on Sunday, June 1st. Are you ready to dive in? * if you have any questions, please don't hesitate to message me or any of my fellow hosts. I did it! I'm there!